The Last Leaf Gardener: Soon it will be Father's Day! Fifteen days from now it will be June 17th, which is Father's Day. 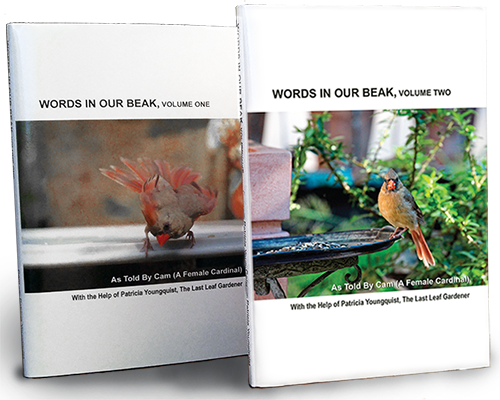 Therefore, if you are fortunate enough to still have your father or grandfather, you might want to consider giving them a copy of either volume of the Words In Our Beak book series, which can be seen in the image atop this entry. 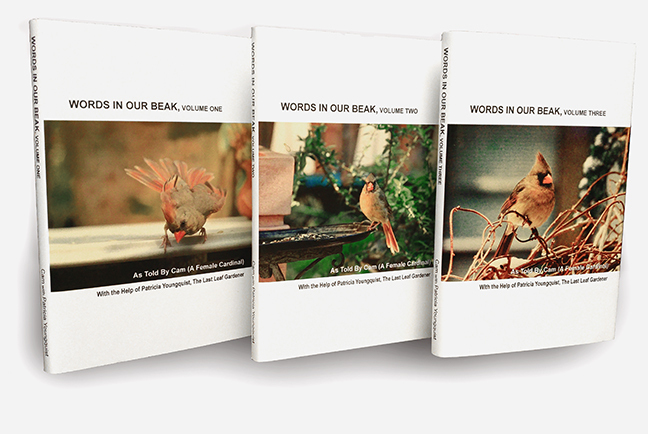 Of course anyone you know who is a father, be it a spouse, an offspring, a sibling, a neighbor, a colleague, or a friend, these books make the perfect gift to honor them on this occasion. Should you decide to get either book (or both of them) in this series, and want to include a bookmark, I have designed one which can be seen (front and back respectively) in the next two photos. 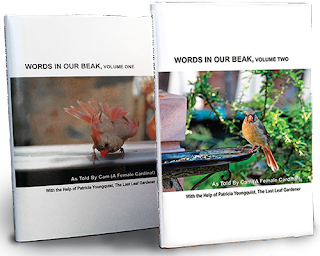 As of now, I'm offering to send anyone who purchases (or has already purchased) any version of the Words In Our Beak book series a complimentary bookmark. All you need to do is "pm" (on Facebook via my author page or my personal page) me your "snail" mail address and I will send one to you.